They also feel that the Indian fashion industry has now realised the opportunity that lies in India's history without having to depend on craftsmanship only but look for the inner craftsman. 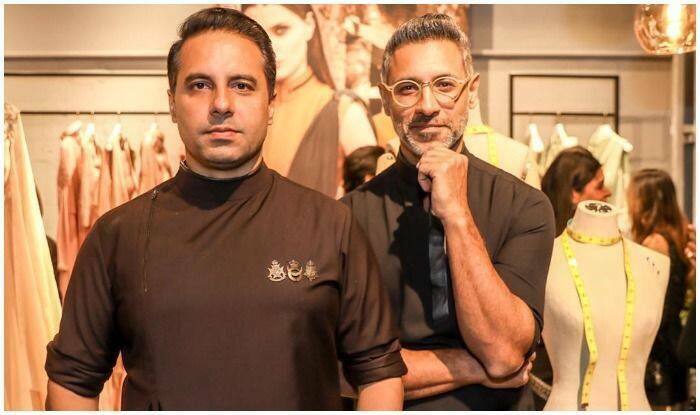 Shantanu and Nikhil Mehra are ready to showcase their first-ever grand finale for the Lakme Fashion Week (LFW) and the designers feel like being “reborn in the world of fashion” as they call it their “ultimate exam”. “It has happened to us after 18 years and there isn’t anything more exciting than this. “The first Shantanu and Nikhil finale on a platform like Lakme Fashion Week which has continuously given fashion and makeup a new dimension,” Nikhil told IANS in an e-mail interview. “It is almost like being reborn in the world of fashion. We still feel like — Is this really happening to us? It is like the ultimate fashion show for us. The feeling is one of as if it is our first and last fashion show. This is the ultimate exam in the fashion world,” added Shantanu. Inspired by Matte Reinvent — Lakme’s beauty theme for the season — the designers would present their latest collection titled Recruit SS’19 on February 4. “As far as the responsibility is concerned, if you have a story to tell and you stick to it, just go full-throttle and that’s what we are doing…,” Nikhil added. “This time we are giving red a new dimension in a matte flavour. Red is also a colour we have never dabbled with and that by itself gave us an added sense of responsibility. How do we make red, black and gold — the colours of the Lakme packaging this season — integrate seamlessly. “We have taken que from that and moved to a line for a woman who is more empowered. The silhouettes are more structured which give her that opportunity to lead the path, this kind of story telling is what the ‘Recruit’ will resonate with women because it speaks of their abilities through silhouettes,” said Shantanu. Talking about being a trend-setter, Nikhil said, “We’ve always considered to be an anti-trend brand of design, what others are doing that pretty much formulates the eco-system of trends and we have consciously tried to stay away from it. “Even the gender equality that we try to show is through the medium of couture is more subdued and bring in a little more sanity but keep it more occasion driven. A brand that started in 2007, building it up was the toughest and most challenging task “but at the same time is the most fulfilling and it has taken us 14 years to understand what Shantanu & Nikhil as a brand mean to the world. “This rude awakening has happened recently where we have fallen in love with the country we live in and feel the need to bring back some of those glorious moments of India and how about modernising it to cater to this new wave of the emerging market called the millennials,” said Shantanu. With a lesson that states that “find your soul and stick with it” for newcomers, they also feel that the Indian fashion industry has now realised the opportunity that lies in India’s history without having to depend on craftsmanship only but look for the inner craftsman.